we’ve been very busy working on this little girls nursery! i’ve had major crafty-nesting-creative juices flowing thru me. the color scheme is teal & watermelon, with a vintage feel to it. i’m in love. the whole family has been pretty busy working on her room actually. daddy being a super handyman. big brother wishing he could go in and be super handyman’s side kick. i’ve been doing more of the decor & crafting than manual labor of course. here’s a few things i’ve whipped up this week. bird canvas’ using fabric from her bedding. the original can be found here. made by myself and miss molly. you are getting a sneak peak at her bedding with this pillow. 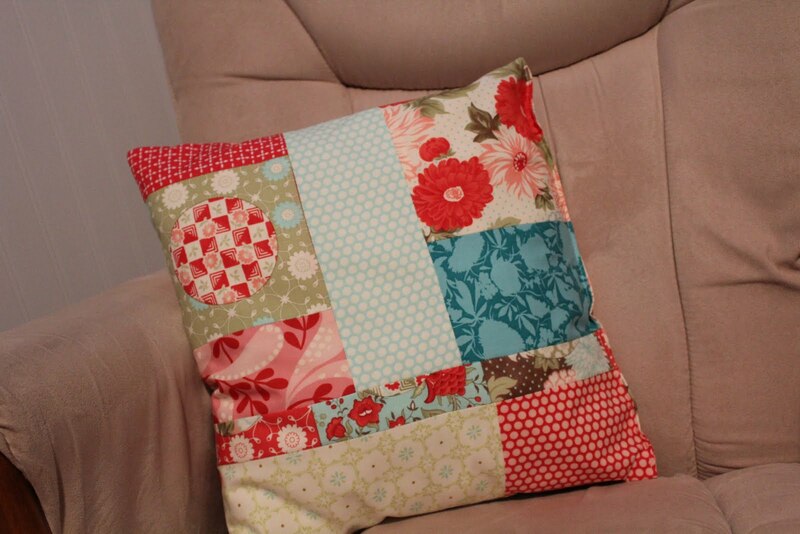 i pieced it together using some remnants of the fabric that is in her room. 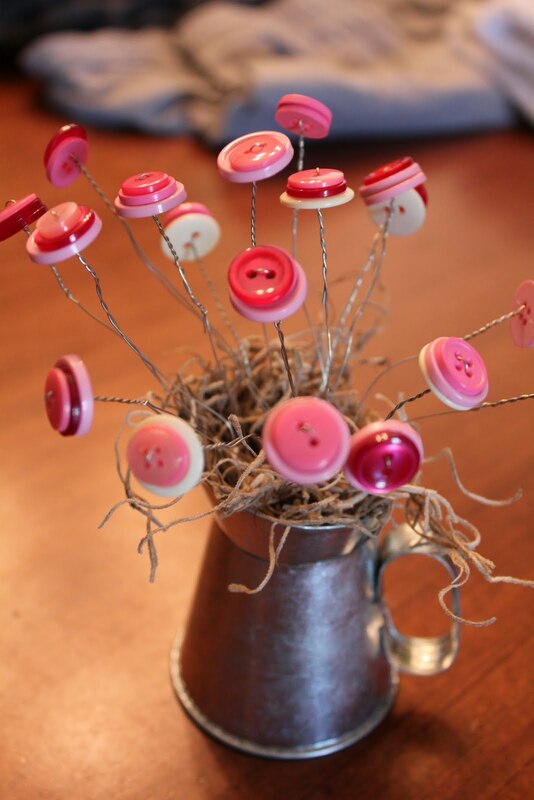 and lastly, a cute little button bouquet. i’m thinking of taking out the spanish moss and using regular moss. thoughts? either way i do LOVE it. original found here. i’m linking up to tatertots & jello and you should totally check out all the craftiness that happens over there! LOVE the button bouquet- SO cute! Can't wait to see the finished room- I know you must be SO excited! I'm visiting from TT&J wrap-up party.